My head’s in a funny place at the moment. Yesterday, yet again, I woke up feeling low. This, in itself, is not a bad thing as I have recently been through a period of severe depression and mood swings. ‘Low’ is a lot better than things have been! But low is also disappointing because I have recently also had a few ‘normal’ days where my mood felt basically OK. I had hoped that everything was leveling out and I would benefit from a period of stability again. It feels like a long time since I had a period of stability. In the bad old days, in my late teens and early twenties, I was all over the place for most of the time. But with effort and support things gradually improved and I learnt to ride the periods of depression without making life-changing decisions like quitting a job or a relationship. Then came periods where for many years my mood was pretty level, and things improved further as my mood began to shift in response to events rather than erratically and for no apparent reason. Lately, though, things have been getting weird again. I find it quite frightening to be in a place where I don’t know what I am going to wake up to. And the low bits are almost worse than the depressed bits. When I am depressed there is simply nothing I can do except cry in corners – I can’t work, or contact people, or motivate myself to do something. I just have to hope that I don’t do anything stupid. It’s hard to explain what ‘low’ is for me. I was trying to unpick this with the friend I was on a day out with yesterday, and failed miserably. I just wake up feeling flat and sad, and am prone to bursting into tears when faced with the smallest thing. But also, as I said to my friend, ‘low’ is not an insurmountable thing – if I go somewhere or meet someone I can feel quite happy and well for the period when I am busy. The trouble is that as soon as I get home or am alone again, I feel that deep sinking inside and everything is an uphill struggle. Our day out, by the way, was wonderful. 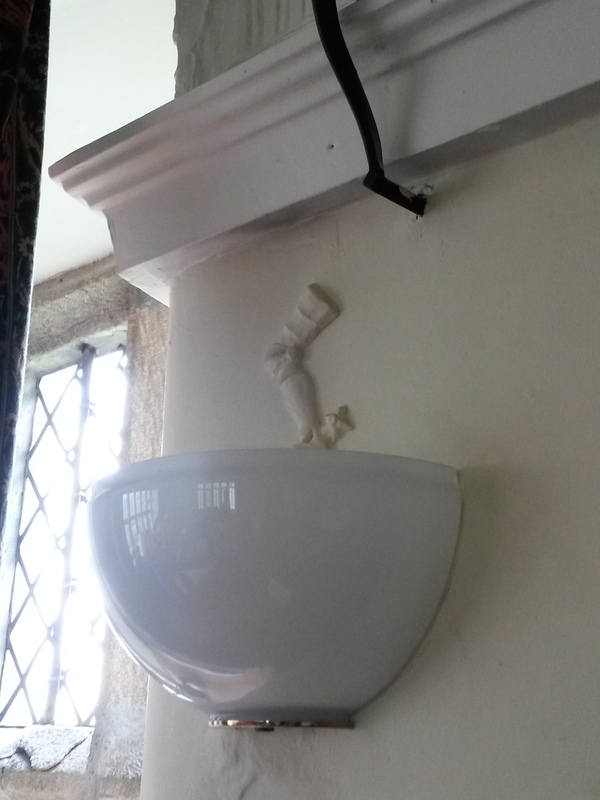 We went to a Heritage Open Day at North Lees Hall in the Peak District – a very quirky place with ornate plasterwork featuring arms holding onto branches of oak and, even more strange, legs above light fittings in bas-relief. 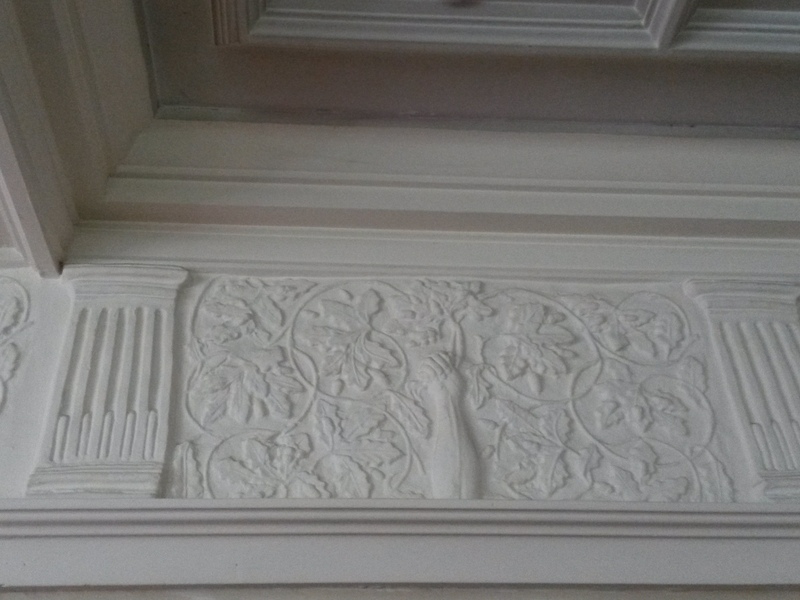 (Apparently a previous owner lost a leg and decided to represent this for evermore in the plasterwork of the living room!) 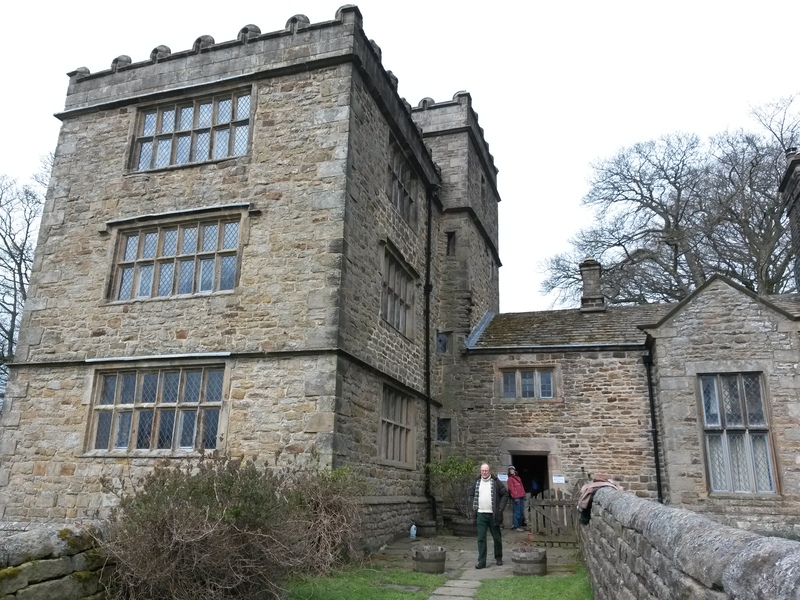 The house also has the most beautiful and ancient spiral staircase made of elm, and has literary connections with Charlotte Bronte who visited and used the building as the basis for Thornfield Hall in her novel, Jane Eyre. But, true to form for my low days, the moment I got back home from the lovely day out I felt completely flat again. I was weepy and uptight about little things and could not settle. 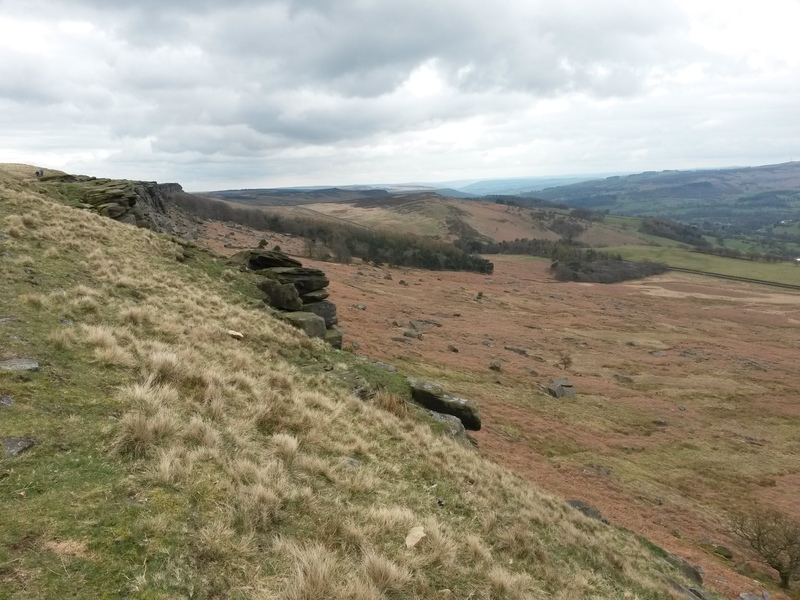 The joy of standing at the top of Stanage Edge with those stunning views and the company of a good friend seemed like a lifetime ago. I went to bed early with a cup of tea and tried to read myself to sleep. If anyone has advice for me about how to approach low days, it would be entirely welcome. Learning about other people’s stories has really helped me, and the mutual support I’ve received has kept me going through some tough times. But perseverance is hard work and sometimes the daily grind of simply keeping going feels just too much to bear. In the meantime I will share a few photos from our lovely day out. Maybe it will redress the balance a little towards the positive side! Swapping pine beds with my son when he moved house. Lots of things to unscrew and large pieces of bedframe to fit into his capacious car! It took ages, but was a lovely excuse to spend time with my only offspring. 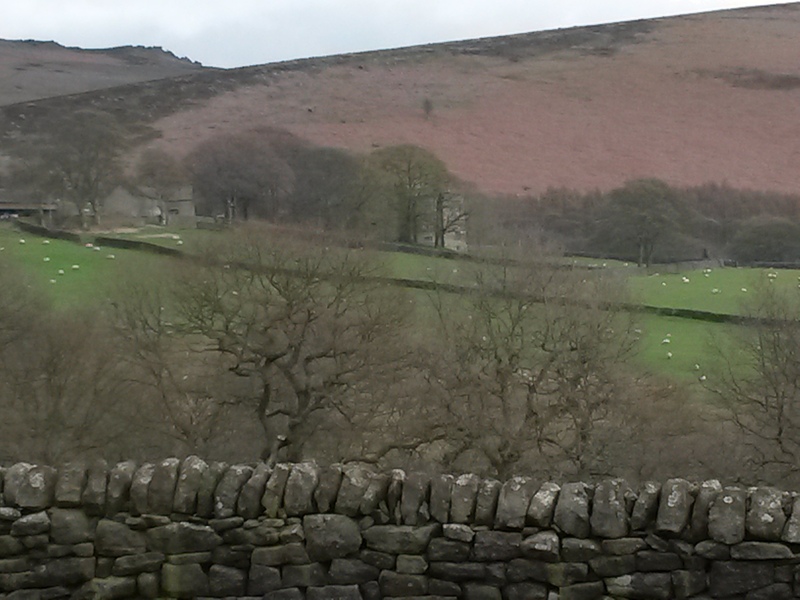 My lovely day out with my friend and the beauty of Stanage Edge. Over the past few weeks my mood has been very erratic, and several times I have been overheard describing myself as ‘dysfunctional’ to sundry friends and acquaintances. Me: I’m in a very weird place at the moment – I’m not functioning at all well. Friend: Join the club – there seems to be something in the air at the moment. Me: At least we understand each other. Us: We must stick together and be there for each other. So here we have it – I appear to be part of a community of dysfunctional people who are very good at supporting each other. This has been one of the blessings of my mental health problems over the years – all those wonderful and interesting people I meet along the way. And what people they are! People with amazing intelligence and quirky, questioning minds. People who are funny, who you can hold a proper conversation with. People who are there for you even when their own world is caving in. Brilliant! I love it. I had to reach for a pen and paper to write it down because my memory is as dysfunctional as my mental health. This was no easy thing, given that I was driving at the time. ‘Remember that phrase,’ I told my friend as I sent telepathic thoughts to the next set of traffic lights willing them to turn red so that I could safely record this moment of wisdom and insight. I have it beside me now – a scruffy piece of paper with my shopping list on it, and at the bottom the words: ‘The New Functional – communities of dysfunctional people supporting each other’. The more I think about this the more I like it. It seems to me that it’s not about whether I, personally, am a ‘functional’ person or not. It’s more about how we deal with what we are given. The way my lovely friends have supported and helped me has been far more effective and fruitful (in terms of me feeling a bit better) than anything the mental health services have been able to offer me. The mental health services are overstretched and underfunded, and my hope that they may be able to give me someone to talk to regularly about how I handle things is probably misplaced. However an expectation that my friends will be there for me has always proved to be built on solid foundations. Beyond this is the massive well of kindness and support available from complete strangers – something that has been facilitated by social media and people’s willingness to share their innermost feelings via blogs. The community of people who share experiences around their mental health is very varied – both in personality types and the kinds of problems we encounter – but when it comes to supporting each other we always come up trumps. So I’m sending a toast to ‘The New Functional’ community. We’re doing good – and a big ‘thank you’ to you all. Trying to be ‘crew’ on my Quaker friend’s narrowboat. The River Trent and Erewash Canal had never seen anything like it! If you want to talk dysfunctional, think me, rope throwing (in the water), lock keys (how do they work? ), crossing narrow lock gates (balance? what’s that? ), etc. FREE intellectual stimulation! The excellent Firth Lectures at the University of Nottingham’s Theology Department on the topic of ‘Imagining Faith: perceptions of religious belief in modern writing’ – delivered by the ever erudite and wonderfully nuanced Rowan Williams. I have been thinking a lot lately about how my depressive periods and my writing interconnect and affect each other. You may have gathered that I am struggling at the moment with a serious episode of depression. For the first time since I gave up my paid employment to focus on my writing and caring for my dad I have been struggling to get up in the morning and to maintain a routine. Normally, I am the most disciplined of writers – up and dressed and working by 8.30 or 9.00am every morning, to the constant amazement of both myself and my friends. Now, as anyone who suffers with depression will know, I find it hard to motivate myself to do anything and I am far more likely to burst into tears than feed myself, change what I am wearing, or maintain contact with people. A bigger problem in maintaining my writing when I am depressed is my relationship with computers. I am not sure why, but I simply cannot face technology when I am low. Perhaps it is the things that await me if I switch on, or look at, my computer or my mobile phone. All those emails which need attending to, and all those cheerful people on Facebook leading lives that only remind me how miserable and dysfunctional my own life has become. Part of the solution is simply forcing myself to begin – to actually sit down with a pad of paper and begin a new scene from my novel, or to risk switching the computer on with the promise to myself that I will just type up something that I have previously written. I suffer from severe migraines that are aggravated by screen work, so I tend to write long-hand then type up my work later. I am a very fast copy typist, so this second stage acts as a mini-editing process and I do not need to look at the screen at all. I have found this works very well for me, both creatively and in resting my eyes, and it also gives me something simple to do when I am low. Once I’ve got going, I find I get absorbed in my work and it takes my mind off the more negative thoughts and makes the day a little more positive and productive. It is a strange thing, the link between my depressive nature and this writing lark. I have always resisted the idea that there is some kind of ‘therapeutic’ reason for my writing. 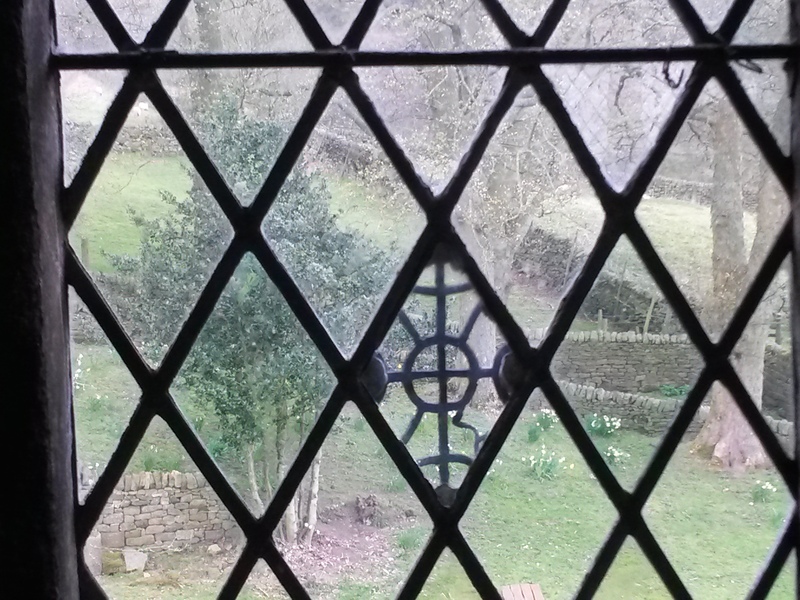 Why should writing be considered any more therapeutic than singing, or gardening, or meditation and prayer, or walking in beautiful countryside? All these things have proved to be beneficial to my mood, if only I can discipline myself to do them when I feel low. Yet people often ask: ‘Don’t you find writing therapeutic?’. Actually, I find it hard work. Enjoyable, stimulating, challenging, and sometimes addictive – but basically it’s something I have to discipline myself to do. A novel is a big BIG chunk of time and effort when it comes down to it. On the other hand, I think I have begun to equate my writing with my mood cycles on a much bigger scale because it is what I turn to when I am unable to work. My first novel was written when I had lost a job following a period of depression and I found myself with time on my hands. I just decided to ‘write that book’ – you know, the ubiquitous book that people always talk about writing one day – and I actually did it. In fact I totally immersed myself in writing for several years – joining writing groups and attending writing courses, holidays and summer schools. I even won a Writers’ Award from East Midlands Arts, which boosted my confidence no end. Then my health improved and I returned to work and my writing declined in proportion to the paid employment I took on. I continued writing occasional poetry and short stories, but stopped mid-way through my second novel. I have always found this – that when I am working I do not have the emotional energy or time to involve myself in major writing projects. Another break between jobs, and I re-worked and completed that second novel. Back to employment, and it was on the shelf again. Now, focusing on my writing again, I am sending it out to agents and publishers while working on my third novel. I am hoping, this time, to make serious strides forward with both books and give myself time to market them properly. There is something that connects me to writing. Something intrinsic that makes me stay in touch with the writing community even when I’m in a fallow period. Maybe, despite sometimes thinking that I will never earn a living from my novels or see them in print, it is because I am a bone fide writer after all! Doing the ‘Chili Con Carne’ song in a choir workshop with a raging migraine – surreal, or what?! A new dementia blogging website and Twitter feed organized by the University of Nottingham’s IDEA project (Improving Dementia Education and Awareness) has been promoting some of my blogs about caring and dementia – and introduced me to a whole load of lovely new people in the Twittersphere who are talking about these themes. Discovering the inspiring #AlzChat! It’s a golden autumn afternoon, with blue sky and a blustery wind. I have a migraine headache coming and going behind my left eye, so I am trying to allow myself to relax. This, on a day when a plumbing malfunction left me with no useable sink or washing machine (my sink waste mechanism crashed and burned late last night); on a day when my new lodger/house-sharer is in the process of moving in; on the day before the long drive down to Dorset to see my dad again. My head is in a funny place at the moment. I am finding it hard to maintain an equilibrium and am upskittled easily by even small things – and, believe me, there have been plenty of straws to break this camel’s back. One minute I feel I am coping fine, the next I feel completely overwhelmed. My appeals for help via a request for a Carer’s Assessment and for more input from the mental health services have been turned down. Pulling out, and leaving my father without proper support, is not an option for me. Then, a few days ago, a friend’s partner suffered a catastrophic stroke and underwent emergency brain surgery. Life hung in the balance. Someone young and vibrant suddenly wasn’t anymore, and their whole universe of friends and family were thrown into the uncertainty of an alien space. It’s been a wake-up call. How far I’ve let myself get bogged down in the detail of everyday life! My own struggles hinge on the minutiae of maintaining things, on ownership and property, on so many thousand words to be written every week. The situation my friend finds herself in, took me back to the time that we nearly lost my son during heart surgery when he was 15. To the sudden, sharp, realization that life is not a given and that every moment is precious and has to be lived. Being reminded of this again I have begun to seek the goodness in the things that stress me out: the blessing of having a wonderful Quaker friend who came, at very short notice on a Saturday, to fix my sink; the joy of having found a like-minded soul and ‘cat auntie’ to share my beautiful home; the fact that the love between myself and my father binds me to his care. Last night, a further blessing. My new mind-man, with whom I have found an amazing connection, telephoned me in response to an email in which I told him that the plumbing malfunction had made me feel like throwing in the towel. He listened, and soaked up that very upskittled mess in my brain, until I simply felt sleepy and OK instead. Like the lulling of a lullaby; a tone poem in caring and how to talk ourselves back to common sense. So now I am thinking: how to treasure this golden afternoon? Maybe I will go out into the garden and gather the leaves that are dancing in the wind, until my house-sharer returns and we can begin a new chapter gathered in under the protection of this roof. Brain somersaults! Again! I am convinced my brain (as well as my scatty cat!) is trying to do as many rotations as the leaves in my back garden in the autumn wind. Now where on earth was that ‘off’ switch? 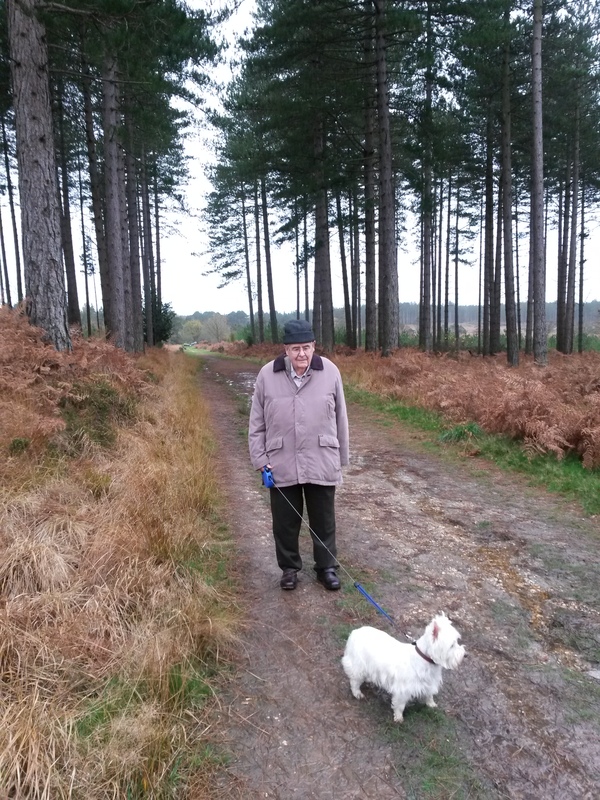 A wander in Wareham Forest with dad and his dog, Isla. The joy of simply being outside with someone you care about and exploring somewhere different. And, of course, seeing Isla’s excitement at all those wonderful new smells! • Can we actually slip ‘out of’ reality at all? Surely, wherever we are at the moment – physically or in our headspace – is actually our reality? • If where we are in our headspace is totally weird, doesn’t this just make reality more interesting? • If this freaks us out, isn’t it time we started changing our idea of what reality is, or challenging others in their limited concepts of reality? I’ve spent a lot of time around people with mental health problems and believe we should learn from the experience of those who hear voices. This applies not just to people with labels like schizophrenia, but to people with some types of dementia, too. Although the voices can sometimes be very frightening and aggressive, they are often positive and accessible. A bit like me finding I coped much better with my erratic mental health once I simply accepted that this is part of me, many people who hear voices find the solution is to make friends with the voices, rather than trying to banish them through therapy and drugs. The voices are part of reality, too. Sometimes, when I’m having a particularly low day, I try to focus my reality in to an exact moment of time. The instant I let my reality widen out I think about the things I ‘should’ be doing but that I can’t face at all. Instead, I try to find the ‘now’ reality: the raindrop running down the window pane, the tiny buddleia seedling that has found life amidst the cracks in the mortar of a wall, the sound of the wind and the feel of it on my face. Living with a reality that keeps creeping into the surreal, or that is not acceptable to the society we live in, is a hard thing. Occasionally I look at my lovely assortment of friends and wonder at the proportion of us who has some kind of experience like this. But then it is logical, given my own experiences, that we have found each other and formed our own community of support. So what is my reality now? 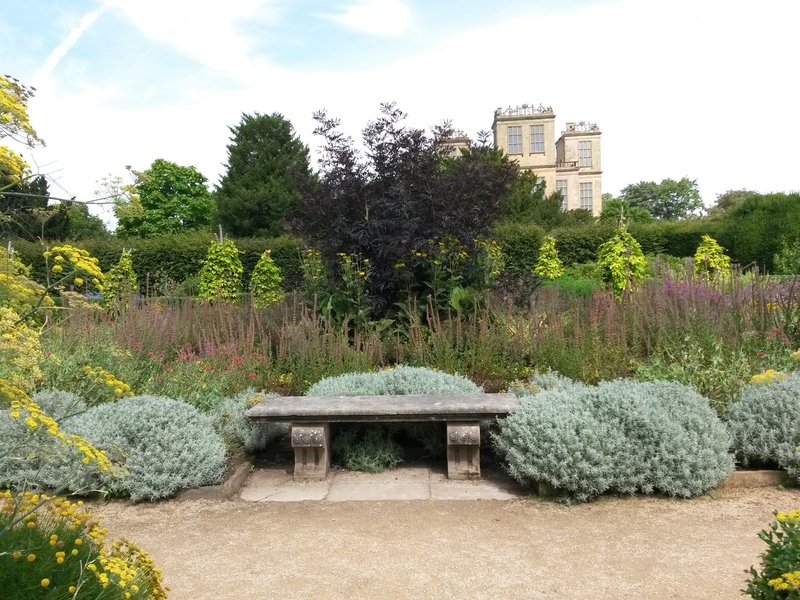 Well, actually it is sitting on a beautiful stone bench in the sunshine surrounded by the wind and scent of herbs in the garden at Hardwick Hall. Deciding to have a ‘Pamper’ afternoon for friends with wonderful Weleda products and reflexology (see my ‘Brain Libraries’ post for details of the brilliant Emma Brown). I now have two friends planning to do reflexology training! Just hope they want to use me as their guinea pig. Hardwick Hall herb garden comes pretty close! My dad has Alzheimer’s, or Alzheimer’s type dementia, according to the lovely psychiatrist who interpreted the results of his brain scan for us. We sort of expected this, having lived with his failing memory and, at that particular time, his increasing confusion and anxious phone calls about everyday things. In a way it was a relief, for the family if not for him, to have a label to pin on his difficulties. 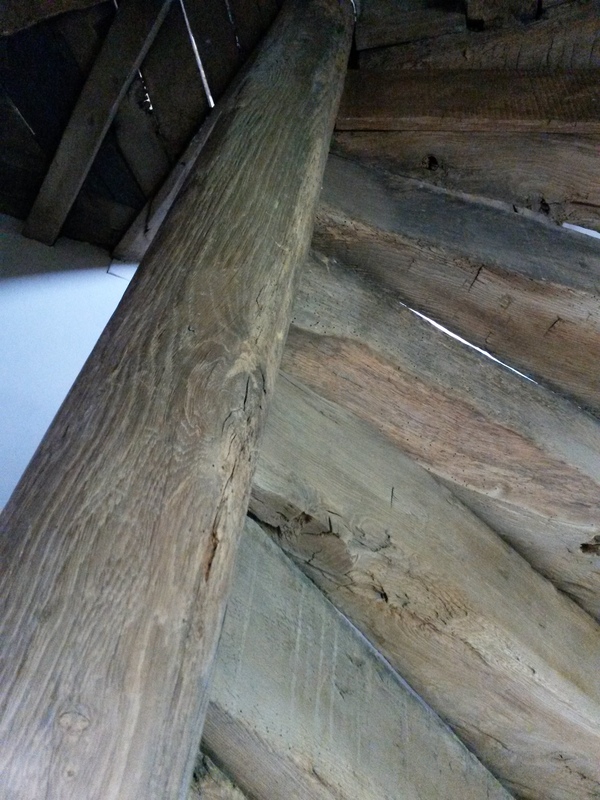 It also felt strangely validating – evidence that he actually needed the interventions and support we were providing. Similarly, when my mum became paranoid and aggressive and accused us, her daughters, of plotting against her, the doctor’s verdict of vascular dementia gave shape to our experiences with her. The trouble with all this is that it is all too easy to let a diagnosis or label affect our expectations and our view of someone, and that includes ourselves. My mental health was very erratic in my teens and early twenties, with big, unpredictable, plunges into depression. At first I wanted labels – a diagnosis or some type of biological cause to explain it – and I went through a whole raft of medications and hospital tests. Perhaps the most useful thing to come out of all of this was the verdict that my high intelligence was a counter to my depressive tendencies, and that I needed to have a stimulating occupation to engage me. I had almost written off the idea that I could cope with work or study. As I’ve moved on with my life, I’ve always seen myself as someone with ‘mental health problems’, even when I’ve been well and stable for many years. It helps me plan my life to avoid the biggest risks to my health – I work part-time and have learnt how to balance my space and busyness. The conversation about feeling defined by illness made me reassess my view. We all have ups and downs, and I have had many difficult circumstances to deal with in my life, so why do I feel I need this label so much? Has it become a safety net that simply confirms to me I am not worthy of all sorts of things – from a partner in my life to common respect from other people when I struggle with something? I am more than this, and wholeness is important. With my dad, too, I sometimes wonder at the diagnosis we have been given. Statistically, many people with ‘dementia’ turn out, after death, not to have the brain chemistry to support their diagnosis. Once dad’s bladder cancer was treated his confusion settled down, and although his short-term memory is non-existent, he functions very well with help and support and enjoys a busy social life. The other possibility of course is that the Donepezil/Aricept medication he has been given for his condition is doing a good job. Either way, he can’t seem to put his brain into gear about how to heat up a ready meal, but is very perceptive and involved when discussing ideas and events that strike a chord with him. So dad’s behaviour and progression is not typical of others I know with dementia (if there is such a thing as typical in any case). And this is the exact problem I am discussing: labels, or a particular diagnosis of illness, can result in us ending up being defined by them. I expect dad to behave or develop in a certain way because of his diagnosis, and when it doesn’t happen I feel that my expectations have short-changed him. • Trying to do my part. Having a ‘comfort coffee’ today when I know it is likely to trigger a migraine. The energy and positivity at the Jeremy Corbyn rally at the beautiful Albert Hall in Nottingham – what an atmosphere of hope and ‘positive politics’!